Congratulations!! 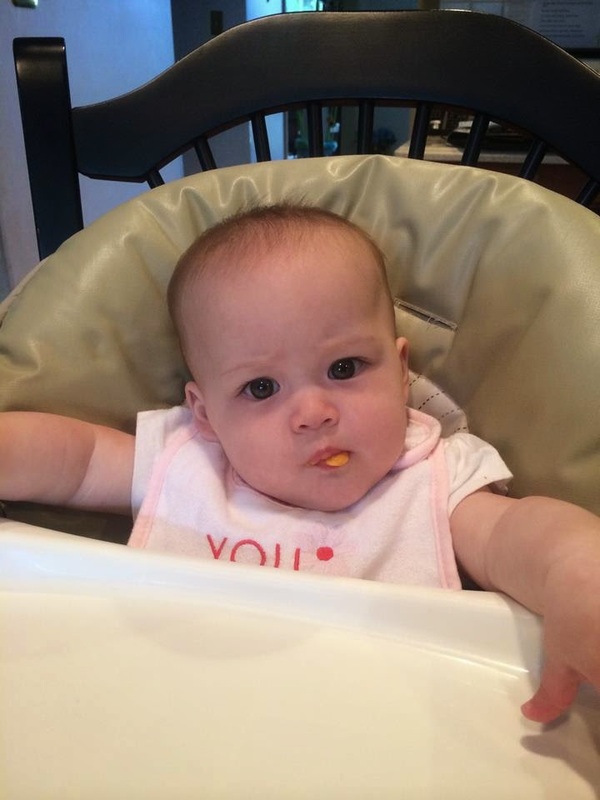 Today you had your first real food. I knew I was going to feed you soon, but this morning I knew it had to be today. From the second he woke up, Brian was all about you. After breakfast, he was determined to take the perfect photo of you with his camera. When he was satisfied, he showed it to me saying, "Isn't she so cute, Mommy?" He wanted me to read to both of you... he wanted to play on the floor with you... he wanted to sit in your room as I nursed you and put you down for a nap. I decided that he should be a big part of your "first meal." So - as soon as you woke up, we went to Wegmans and picked out two perfect Yams. I picked Yams because they were Gavin's favorite - and I mean favorite - food. Gavin ate pureed food his entire life and yams were such a common staple that his skin would sometimes have an orange tint. When I told your brother why I chose Yams, he said "That's perfect! She'll love them like Gavin!" I want you to know that Brian was a big part of your "big day" today, Hope. He even helped me clean up the little feeding chair... which was Gavin's, by the way! As we started to feed you your very first bite, Brian said - "The show is starting!" You weren't sure what to make of all of this, but you didn't complain! You were very interested in the entire experience. I could tell you felt like such a big girl sitting in your seat! Soon it was Brian's turn to feed you - and he was THRILLED!!! All in all, I'll call it a success. Why? Because we all enjoyed ourselves. 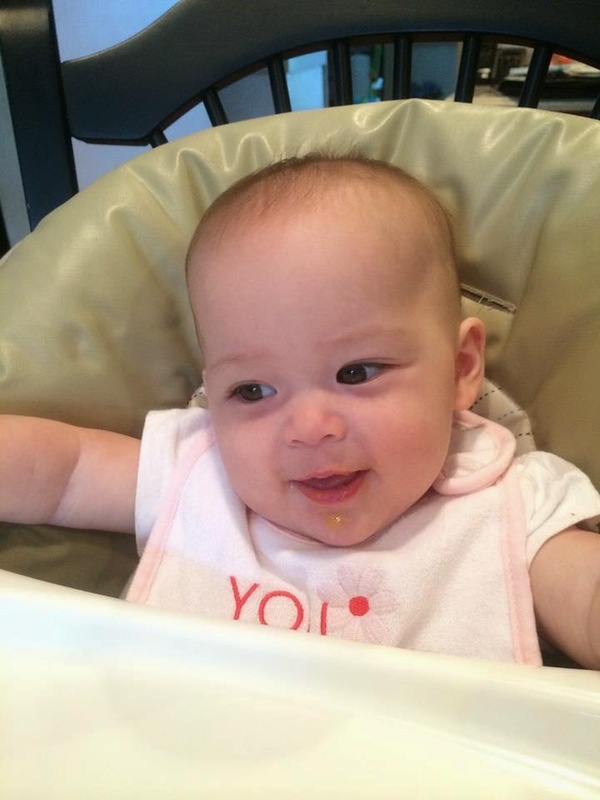 There's no pressure - I'm in no rush to feed you all the time - you're still breastfeeding well - it's all good. 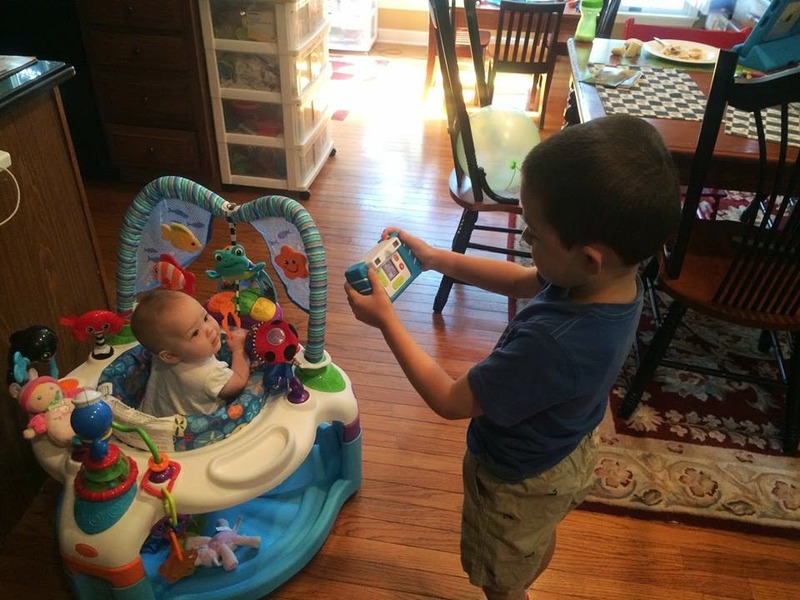 A very sweet moment came when Brian went to retrieve Gavin's iPad. He pulled up Gavin's "Jukebox" app - something he really loved - and started playing songs for you. "Brian, that's so nice of you to put Gavin's music on right now! It almost feels like he's here at the table eating with Hope!" I said. "I know! It does! That was a great idea, right?" was his reply. One day you may ask me why so many things involve Gavin. You sat in Gavin's chair... we played Gavin's music... I chose his favorite food, Yams, to be your first food. Maybe it will bother you. And that's okay - but it won't change, Hope. Ever. And I'll tell you why. It's not about his chair. And it's not about his music. And it's way more than Yams. Besides wanting to include Gavin so Brian remembers him... and you get to know him... there's an even bigger reason for me. Gavin is the reason that I fully appreciate every little moment in your life - and in Brian's life. I savor every first bite as if it's my own. I find joy in every song like it's my favorite. He paved the way for me to be a good and present Mommy for you and Brian. It's more than Yams, Hope... it's gratitude. I am so grateful for every little moment. I so love your blog. You are the greatest Mom. You have amazing children. I really enjoyed this particular one.Thank you so much.